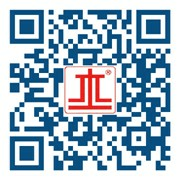 Commercial There are 8 products. 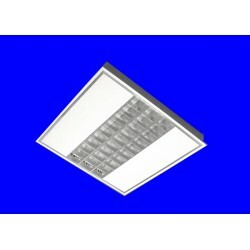 Surface/pendant mount architectural round edge extruded aluminium slimline body with double/single parabolic anodised aluminium louvre. 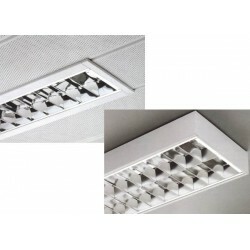 Recessed/surface mounted reflected light luminaire with perforated central refractor for "soft" reflected light and diffused light for working plane illumination. 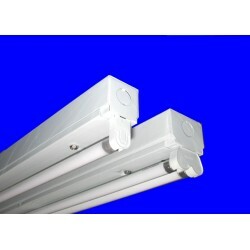 Surface/recessed T5 linear fluorescent lamp light fitting with double/single parabolic anodised aluminium louvre and dummy panel. 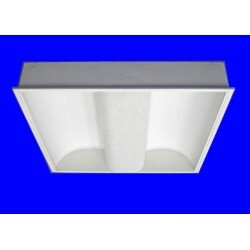 Ceiling mounted IP65 weatherproof light fitting with polycarbonate diffuser and internal metal reflector. 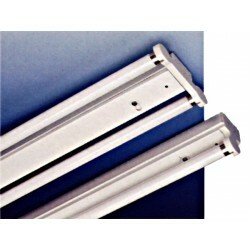 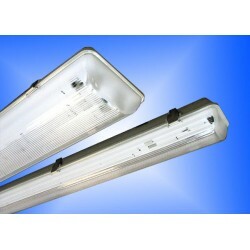 Batten for T8 linear lamps, with choices of metal reflector, prismatic diffuser, angled reflector and wire guard. 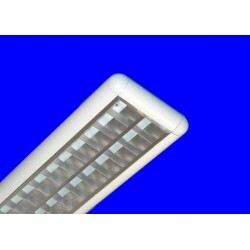 Surface/recessed T8 lamp light fitting with double/single parabolic anodised aluminium louvre. 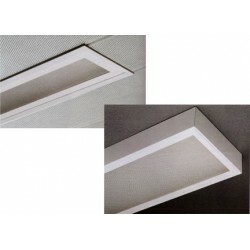 Surface/recessed light fitting with prismatic/opal diffuser lay on the build-in metal frame.